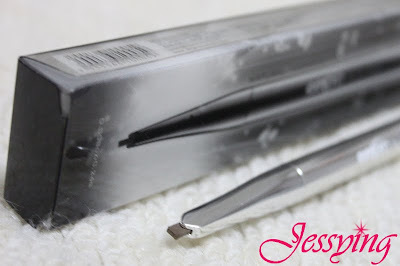 The whole new Slim Cut brow auto-pencil comes with a slim design delivers precise application for evenly defined brows. Its smear-proof formula wears all-day and blends easily with eyebrow hair. It contains herbal essences which nourishes and stimulates hair growth for sparse and uneven eyebrows. 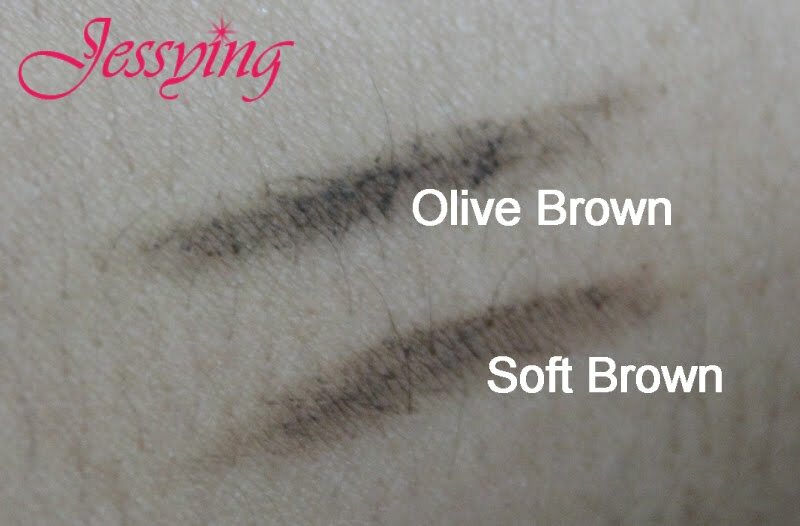 Sculpts and defines the eyebrow with rich, natural looking pigments to softly frame the eyes. The firm and smooth texture allows for maximum control and enables every woman, especially beginners to easily achieve perfectly drawn eyebrows. Contains rich, intense pigments in 4 natural colours. Empro HD - Slim Cut Dual Lead Brow Auto-Pencil, the ultimate in brow definition. This is made in Korea and it comes as a dual lead, 2 colors , one soft and one hard. The texture of both the leads are quite hard and the color came out light. And need to re-apply to get the intensity of the color. This is an auto twist out eyebrow pencil which you do not need to sharp it. I tried to rub and wash off the swatch, it's smear proof as it claims! This is how slim & sharp the lead is . Word of advice, don't twist out too long the lead when drawing your eyebrow, cause it will cause the lead to break. As I just shaped my eyebrow by Shu Uemura, the shape of my eyebrow is still in good condition. And I just need to touch up by applying short stroke on my eyebrow (apply stroke by stroke slowly following the direction of my eyebrow growth) to to fill up the color gap. However I took some time to fill up my eyebrow because the lead is hard. And the good thing about this is I will not get over excited in filling too much color on my eyebrow. And I guess this Empro HD Slim Cut Dual Lead Brow Auto Pencil will be perfect for people with very thin eyebrow shape as the lead is very thin and sharp and this will give precise application. And I think my eyebrow color looks very natural after application. Tips : One SA told me before that if we want to fill up the gap in our eyebrow easily using any eyebrow pencil, always remember to powder up a bit on the eyebrow areas (i.e apply a thin layer of loose powder or powder ) as the eyebrow pencil color do not work on sticky or wet surface. Price of Empro HD Slim Cut Dual Lead Brow Auto Pencil : RM68.80/each and it is available at Watsons, Sasa and Empro outlets. Note : The above product is provided by Empro for review purposes.